On July 25, 2018, Anna Piunova, editor-in-chief of Mountain.ru, received an SOS message from the Russian climber Alexander Gukov on Latok I—a 7145-meter peak in Pakistan, more than 3000 kilometers from the dacha outside of Moscow where she was vacationing. IT HAD BEEN DAYS since the last update from him and his partner Sergey Glazunov about their attempt on the North Ridge. Now, she learned that Glazunov had rappelled off the end of a rope and plunged to his death. Gukov was stranded at 6200 meters in a blizzard. For days, Piunova stayed up around the clock, planning a rescue with people in base camp and in the Russian, Pakistani and US embassies. On the seventh day, the clouds cleared, and helicopter pilots Major Qazi Muhammad Mazhar-ud-Din, Major Abid Rafique, Lieutenant Colonel Muhammad Anjum Rafique and Major Fakhar-e-Abbas plucked Gukov off the mountain. "We were lucky everything worked out for Alex, but it was only half-good because Sergey died," Piunova says. Piunova was deeply aware of the risks of alpinism. She'd edited Mountain.ru for almost twenty years, and she'd been part of the Russian climbing community for nearly twice as long. Born in 1970, she was raised by her single mother and older brother in Yekaterinburg, east of the Urals. Piunova's mom worked as a speech therapist, and her brother danced in the ballet. When Piunova was seven, her brother started his military service and her mom accepted a job in a small village near Urgal, a station on the East Siberian Railway. Piunova and her mother lived in a vagonchik, a trailer home built on a train-car chassis. On weekends, they explored the taiga forests and the Baikal Mountains. This was Piunova's first experience of outdoor adventure, "maybe the happiest time of my life," she says. On winter nights, she awoke to find her blanket had frozen to the trailer wall. The temperature dropped as low as -55 degrees Celsius while she waited for the school bus. But she was so happy she didn't feel bothered by the cold. When Piunova was ten, her mother's next job took them back to Yekaterinburg. Although the winters were milder, she felt the cold more keenly. It was a time of shortages in the Soviet Union, she recalls. "People were hungry and could not buy food other than what they received through rations because it didn't exist." Yet there was also "beautiful granite" nearby. When she started climbing at age eleven, she demonstrated a natural talent. At first, her mother wouldn't let Piunova join the youth climbing team, for fear that it would be a distraction from school—until she realized Piunova could get access to better food and a chance to go on trips abroad. As a result of that travel, Piunova speaks French, English and a little Italian. She can understand Polish, a language that's "especially important for a climbing editor," she notes, and she also knows sign language. At eighteen, Piunova married another climber, Alexander Klenov. Their son, Dima, was born with asthma, infantile cerebral palsy, and contractures of both knees and ankle joints. Doctors encouraged the couple to give the baby up to a government orphanage. "They said, 'you're so young to live with this kind of disease,'" Piunova says. But she was determined to keep her child. Although she had to relinquish her professional climbing career, Piunova and her family spent much of their time in Crimea, where they enjoyed limestone cliffs as well as a balmy climate that doctors recommended for Dima. Piunova and Klenov eventually divorced, though they remained friends. 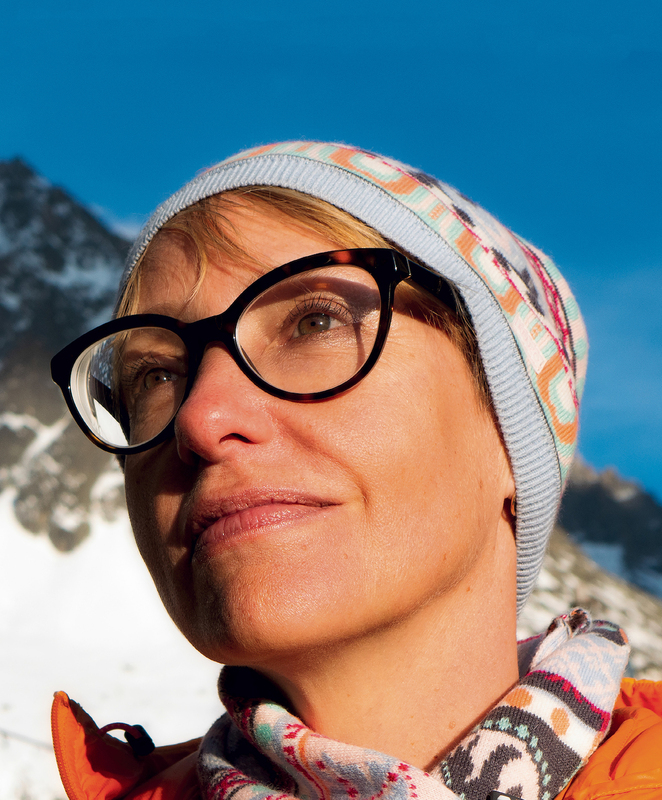 After the Soviet Union's collapse, while Piunova was coaching young climbers, she noticed new opportunities with the rise of the Internet, and she developed a regional climbing news website. In 1999 she was hired by Mountain.ru, and she moved to Moscow, where she married Andrey Kazakov. In addition to writing, editing and taking photos, she pursues her own international ascents. After Gukov's rescue, she appreciates, even more, how willing people often are to help each other—regardless of nationalities. "Propaganda is everywhere," she observes. "You have to figure out your own point of view." Dima is now the assistant editor for Mountain.ru, and Piunova recently celebrated her forty-eighth birthday by running a marathon in the cold rain. Just three years earlier, she'd had an operation to remove cancerous tissue and could barely take two steps without pain. "Life is really a gift," she says, "and not something to waste."